Association of Caribbean and Latin America Missionary Educators (ACLAME) Summit. This year’s theme was “Recalibrate” with the goal of reassessing the state of ministerial formation and realigning the organization for renewed influence. The Summit began with an organizational meeting designed as a welcome to all participants and as an orientation for the newly appointed Support Missionaries. Support missionaries serve as advocates for and facilitators of ministerial training in their respective country. Since the inception of the program in 2016, 18 Support Missionaries have been appointed throughout the Latin America Caribbean (LAC) region. The organizational meeting began with an ice breaker called “Sweet Meeting.” As they arrived, each participant was given a candy bar which corresponded to a specific table. 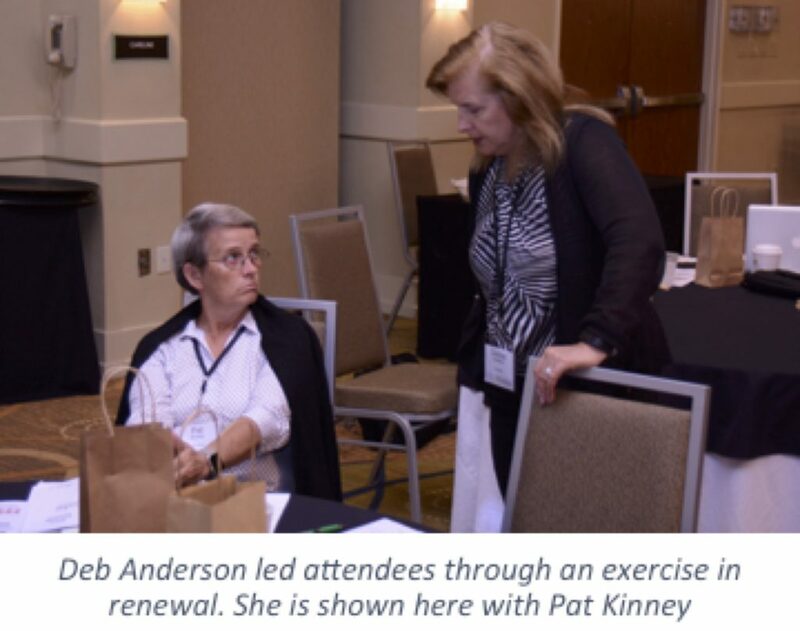 The participants then found their tables and introduced themselves, recounting, among other details, how they became involved in ministerial formation. New Summit participants were later introduced to the group by their table hosts. This opening activity set the tone for the participatory process necessary for the dialog structure that was used during this year’s Summit. 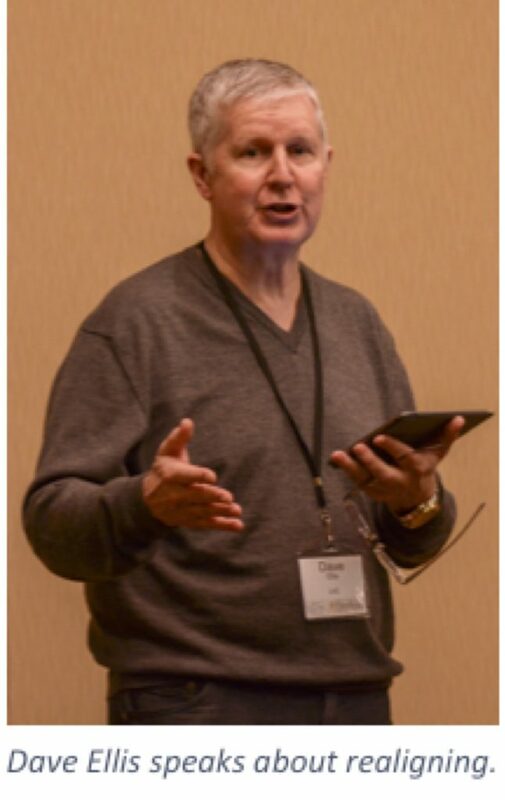 Following the group activity, Rod Boyd, the current ACLAME Treasurer and one of the founding members of the organization, recounted the history of ACLAME: He traced its origins from its precursor, the Missionary Dialogs, which had been designed to resolve conflict. 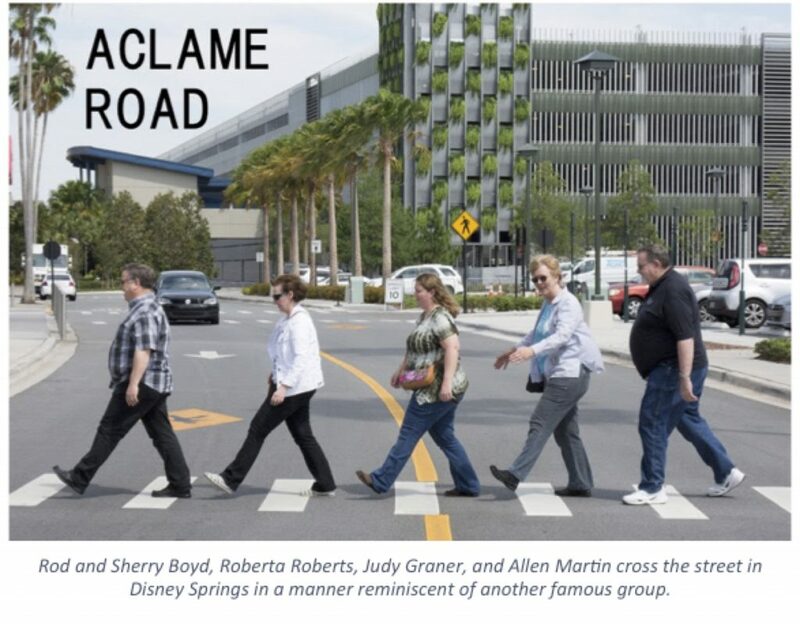 He explained the original idea of ACLAME, as an organization to encourage missionary involvement in education, and recounted the major ACLAME events, starting from the very first Summit in 2004. Gilbert Contreras, the current ACLAME Secretary, then guided the group through the current structure of ACLAME, explaining its membership, Leadership and Administrative Team structures, as well as the Support Missionary role. He also described ACLAME’s principle avenue of communication: the monthly email “Bulletin” and its primary gathering: the biennial ACLAME Summit. 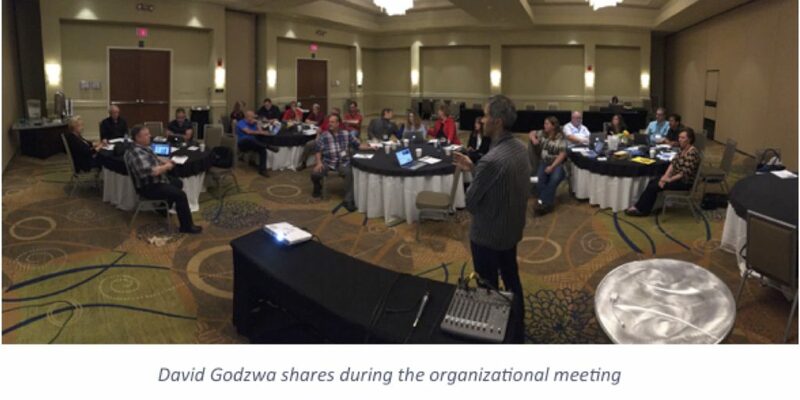 David Godzwa, the current ACLAME chair, spent time to casting vision for the future, describing the Support Missionary role as a critical piece in making ACLAME a nimbler organization. With wider participation from a variety of countries through the LAC, he envisioned an ACLAME that was attuned to the needs of its members and recognized as a source of valuable resources for all the LAC initiatives. Miguel Morales, the current ACLAME Assistant Chair, then gave the participants a “sneak peek” of the Summit’s activities and distributed the printed materials. The main event of the first day was the evening service. 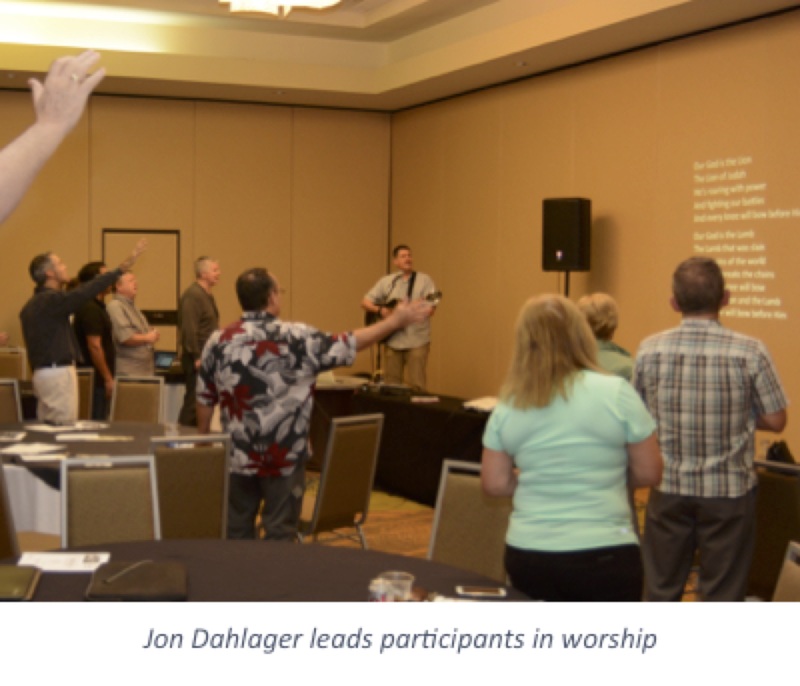 Jon Dahlager, missionary to Costa Rica and a member of the ACLAME Leadership Team led the group in worship followed by the keynote address of LAC Regional Director Dave Ellis. In his talk themed “Realign” he spoke from Acts 17 and called his listeners to a reaffirmation of the “non-negotiables,” the things that we fully believe. He emphasized “grit” which he defined as passion mixed with perseverance, and encouraged us to march on eventhrough adversity. A time of commitment through prayer concluded the evening’s events. The Summit reconvened the following day. 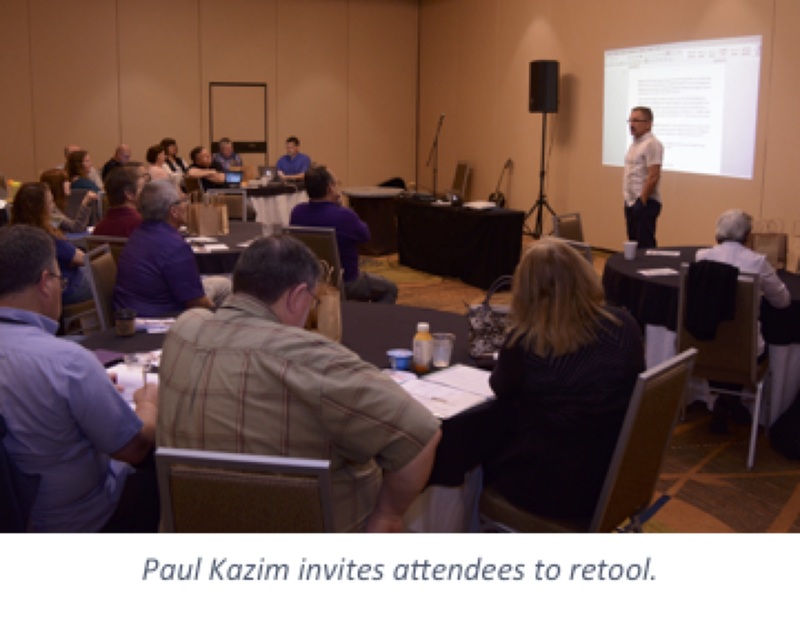 Paul Kazim led a devotional from Mathew chapters 24 and 25 with the theme “Retool.” In it, he invited Summit participants to emulate the “faithful and wise servant” and reminded them that, just as birds fly because they are birds, so the righteous do right because they are righteous, a call not to a renewed effort, but a renewed identity. Following the devotional, the Summit entered the dialog phase of the meeting. During the morning sessions, moderated by missionary to Mexico and ACLAME Leadership Team member Roberta Roberts, and Gilbert Contreras, Support Missionaries delivered reports detailing both the greatest needs and the greatest advances in ministerial formation in their respective countries. During this time, 16 reports were received, 13 in person and 3 via video. These reports were then compared to and contrasted with the responses of national directors of education recorded during the Dialogo which had been held by the Servicio de Educación Cristiana in March of the current year. Common needs included higher quality teacher training, problems related to government accreditation, and bridging the gap between education and application, i.e., moving from training to ministry. Key advances reported were the high esteem for education throughout the region, an increasing accessibility to ministerial training and the strong relationship that our educational institutions enjoy with the national church. 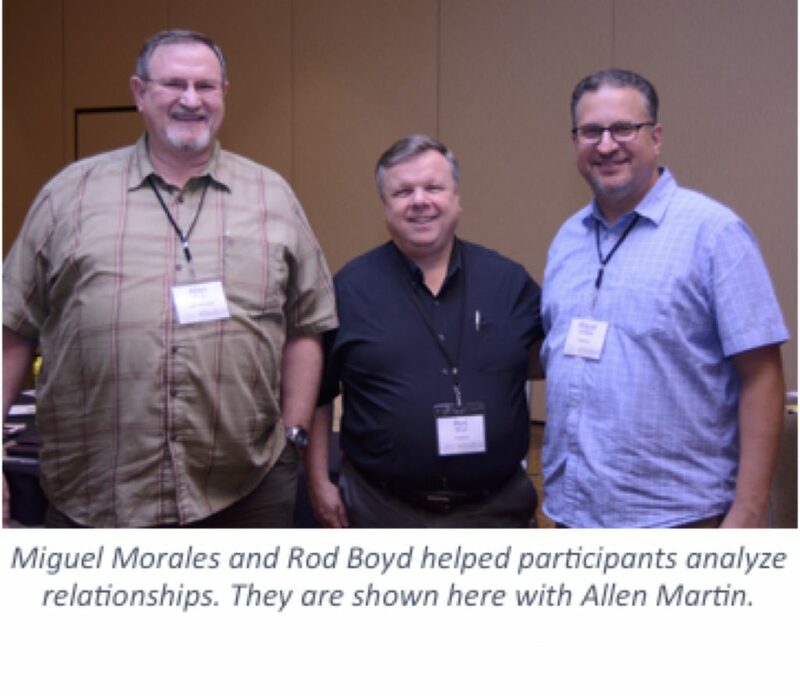 After the insightful morning session, the Summit attendees were guided by facilitators Rod Boyd and Miguel Morales through an afternoon of defining and evaluating relationships that are common to ministerial formation. This led to a discussion of the underlying culture and tradition that affect our overt organizational structure and procedure and serve to either help or hinder efforts to address the needs mentioned in the country reports. 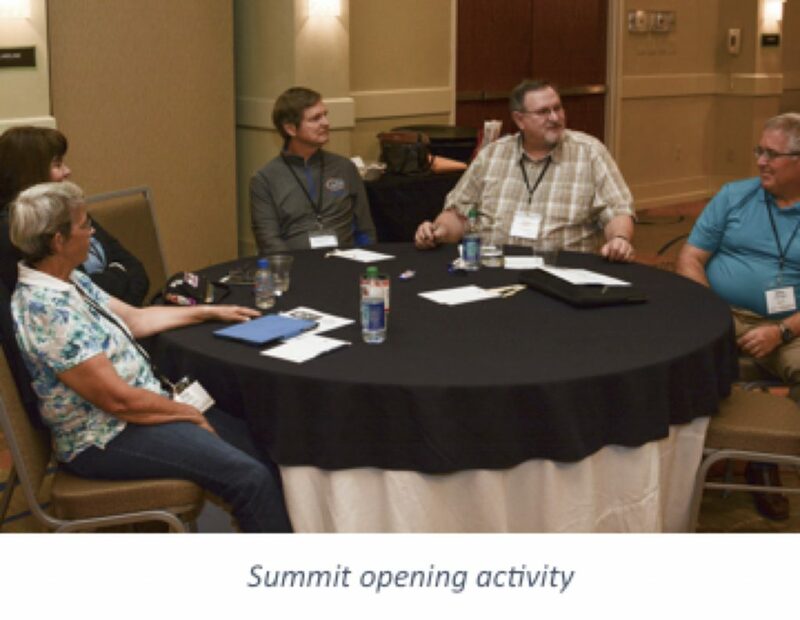 The Summit proceedings for the second day concluded with that afternoon session, giving participants the evening free to enjoy the varied local restaurant options, visit with one another, and further converse about the topics addressed. The final day of the 2017 Summit began with a morning devotional from Deborah Anderson, missionary to Ecuador. 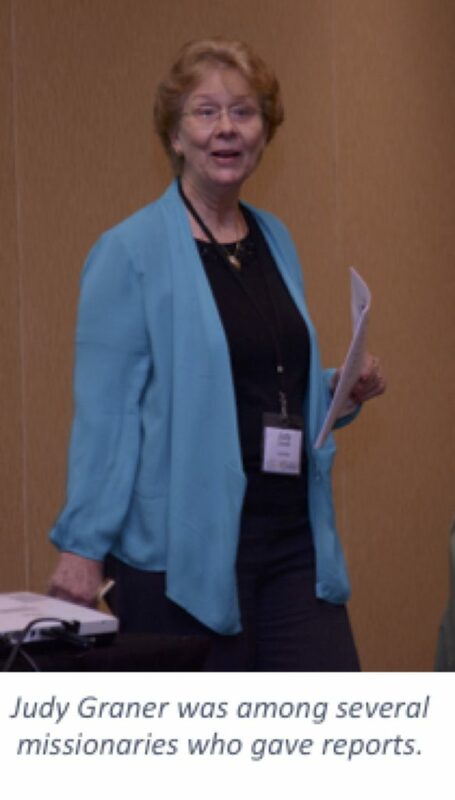 In her talk themed “Renew,” she used a variety of scriptures to remind her listeners to find place for renovation and to take time to revitalize their strength, vision, passion, and purpose. After the devotional, Summit participants were divided into groups to undertake a strategic planning exercise called a “SWOT analysis.” In the activity, each of the four groups was assigned the task of identifying Strengths, Weaknesses, Opportunities, or Threats of their missionary involvement in ministerial formation. Missionary to Argentina, Eddie Echevarria and Gilbert Contreras received the reports from each group. Strengths included a sense of unity amongst missionaries and national leadership, organizational support, and a type of “apostolic privilege” that LAC missionaries now enjoy because of the strong foundations that previous generations of missionaries had laid. Weaknesses reported were the increasing median age of missionaries involved in training, diminishing participation in ACLAME, and the perceived lack of innovation within the group. Opportunities mentioned were the Cor3 status of training among the 7 LAC Initiatives, the Plan Básico Specializations that could provide avenues for training and validating workers within all 7 of the LAC initiatives, and the knowledge and skill of ACLAME members, which could be tapped to lead a variety of focused, interactive meetings covering a wide range of topics. Perceived threats included students’ fascination with either a quick and easy route for training or the recognition that accreditation brings, the lack of formation in the local church and its effect on the preparation of the Bible college student, as well as a lack of communication or support from the national leadership. 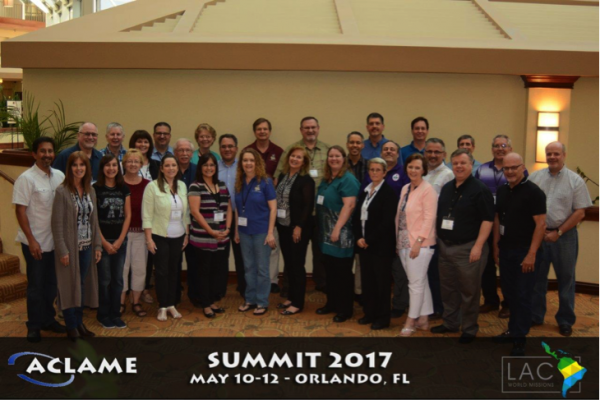 The agreed focus then of the “Recalibrated” ACLAME, as determined by the 2017 Summit process, is to move forward to face these challenges: to becoming nimbler as an organization, providing resources to meet needs for training across the initiatives, while promoting increased involvement of missionaries in teaching, mentoring, and training. At the same time, ACLAME has committed to strengthen national training efforts to see better equipped teachers and students from the local church through the Bible school levels and beyond. Following the close of the meetings in the Doubletree hotel, the Summit concluded with an evening of fun food and activity at Splitsville in Disney Springs. I appreciated the summary of the event. Thanks for doing the hard work. Sorry I missed it, but schedule conflicts were too great. The replacements for greying leaders seems to be a concern for US churches also. Where will the replacements come from? Perhaps May was not the best month for the conference as there were many District councils? Thanks for the kind words and for sharing our concerns. True, scheduling can be tricky. We try to be sensitive to issues like the one you mentioned. As we move forward we’ll keep that concern in mind. Greetings Dave. Thanks for the summary. Apparently, the achievement of goals occurred and the SWOT session proved beneficial. I, too, am somewhat concerned about “who is going to take our place” as the aging missionary force faces retirement. Perhaps a new trend will emerge and missions will be carried forward from a different paradigm. To emphasize the purpose of ACLAME, education is a critically vital mission ministry that has not reached its apex. The are miles to go before we can sleep. Blessings and thanks for your leadership. Hi Mike, To speak to your concern, I think that recruitment of young educators should be on our radar. Still, the reality of a more specialized missionary force means that much of that recruitment may need to come as a “Macedonian call” to those who have gone to the field with a different goal in mind. My prayer is that many will be sensitized to the need in the area of ministerial formation. As well, as the situation of education in the LAC becomes more mature, I would hope that nationals would continue to stretch themselves to reach educational levels that will enable them to take an increasing role.